The fine art of “porching” may have been introduced in the south, but here in the Midwest we expand the tradition with protective panache. Even the official Porch Sitters Union approves of the screened-in variety. It is a highly respected option offering a laid back defense against bugs and weather conditions. 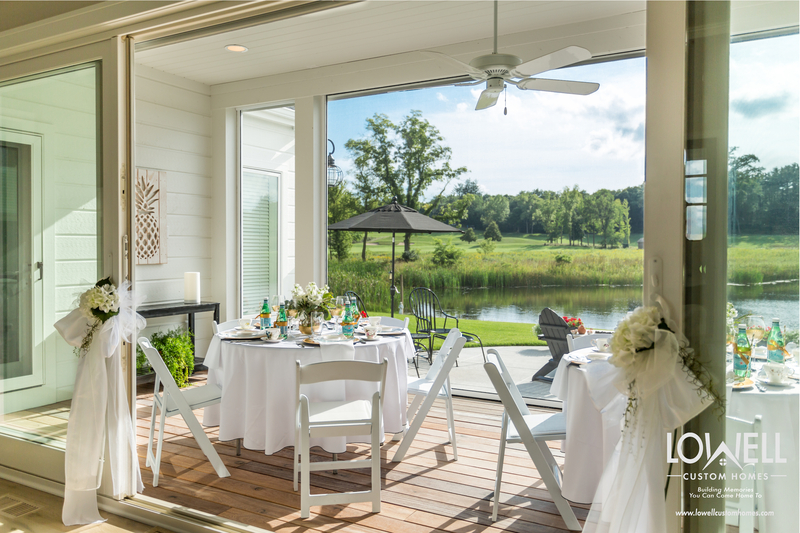 To help you identify the perfect location for your screened porch click here.. The idea is to achieve a seamless indoor-outdoor connection where you can enjoy nature without pesky bugs or excessive heat. Depending on construction, this could be a year round extension of your home’s living and entertaining space. Overhead – The most appealing roof design is an extension of your home architecture. A well constructed roof will offer protection from the elements with a shed, hip or gabled style. The materials should be high quality as well as compatible with the main structure. This home received all new roofing that features long lasting composition shake shingle from DaVinci Roofscapes. Enclosure – Full screening will promote a lovely cross breeze while the addition of windows can provide year round comfort for the space. A large variety of window styles will work. One of the latest trends is to install a glass wall of windows that folds back for an unobstructed view. Interior – Architectural details can take this space from elementary to enchanting. Here we feature a beadboard ceiling, arched corbels and versatile lighting for after sunset. Ceiling fans and fireplaces are popular additions as well. Underfoot – Moisture seal is imperative as a base layer before construction begins. From there the flooring material should be durable with a level and visually pleasing transition from interior rooms. Comfortable seating will complete your indoor-outdoor space. Use sturdy pieces and fabrics for easy care and stress-free entertaining and relaxation. Durable fabrics like those from Sunbrella are a modern miracle that will help you weather the elements in style. Be sure to include drink tables, a place to prop up your feet and some perky accents, plants and flowers. Here’s to all of the ways our home can help us celebrate the spring & summer season! 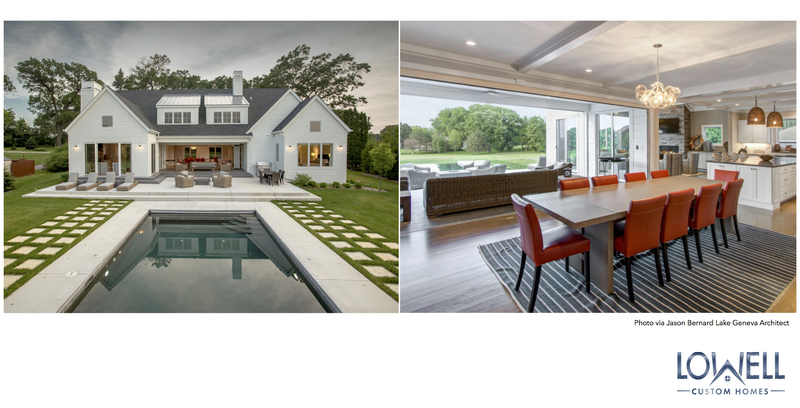 This home was originally built by Lowell Custom Homes and designed by M & E Architects. 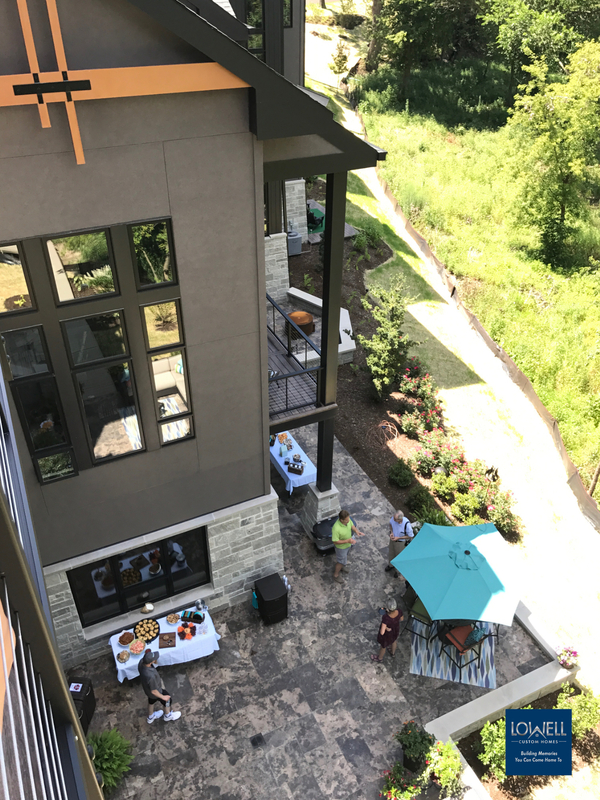 The renovations in 2018 are by Lowell Custom Homes with architect Todd Cauffman and General Manager/Project Superintendent Rich Kinter. To see more of the lovely details visit our gallery by clicking here. The new roof is by DaVinci Roofscapes and features a long lasting composition shake shingle. Here is a better look at the new kitchen by Geneva Cabinet Company, LLC which features cabinetry from Plato Woodwork, Inc.
Spring is nature’s time for renewal and the ideal time to bring your home out of hibernation. Celebrate the season by adding a few refreshing touches from our list of favorite home pick-me-ups. 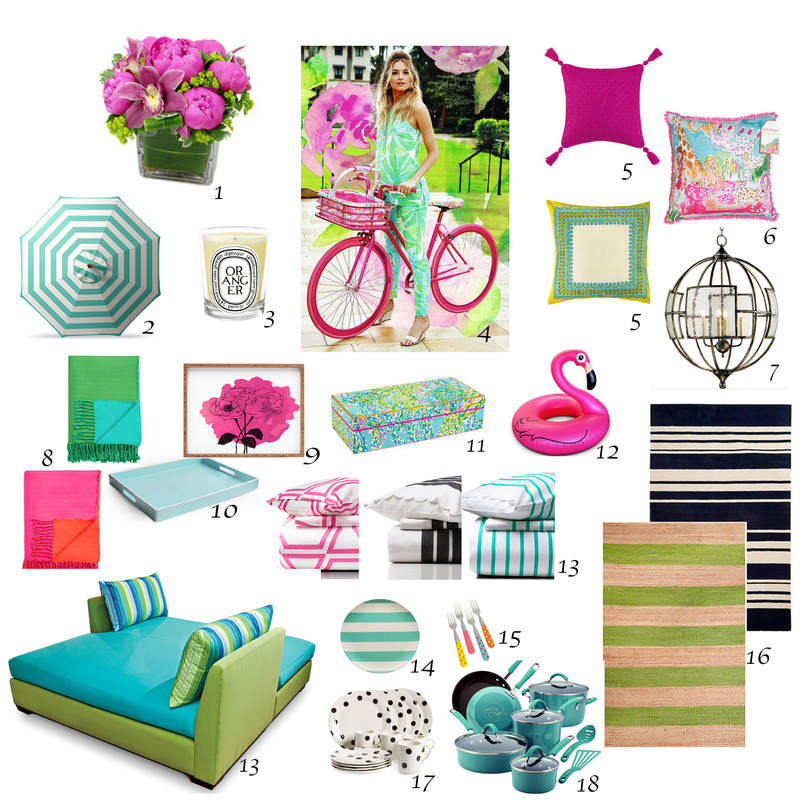 For inspiration, take a look at some of these perky finds! Does the idea of extending your summer sound appealing? 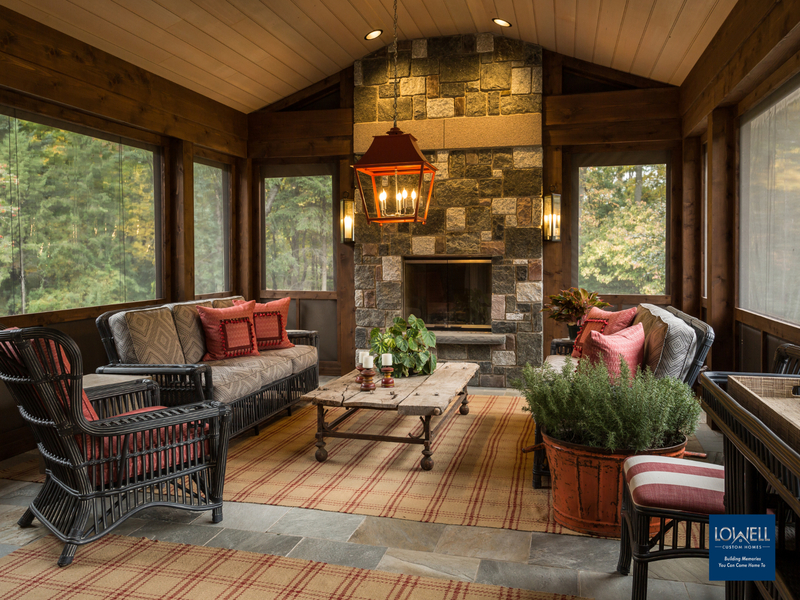 A screened in porch will prolong your outdoor living season in the most civilized manner. No bugs, always a breeze from the ceiling fans, and overhead protection from the elements, what’s not to love! This cost effective feature lets you get a jump on summer and cling to every last day before winter arrives. 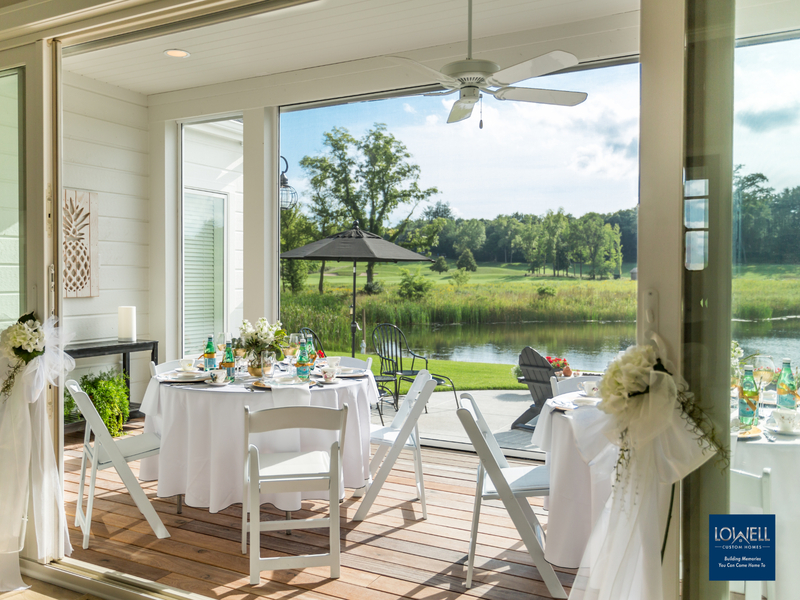 We build screened in porches and rooms where our homeowners can enjoy a close connection with nature. These areas deliver additional living space with the bonus of versatility. A place to unwind, entertain friends or shake up a boring dinnertime routine; the appeal is in its ability to become exactly what you need. The temporary charm of outdoor living releases you from the formalities created by four walls and encourages relaxation. These screened-in fundamentals will guide you when setting up your own outdoor space. Business in the front – party in the back. Even the most stately homes can embrace the look of a screened in room. You’ll avoid the architectural mullet phenomenon by treating this feature with the same details as your home. Design your screened in space to reflect the overall character of your home. If you are fortunate enough to have a scenic view, take full advantage by positioning the location and elevation where you’ll have best perspective. When not emphasizing a long distance view, create an intimate view with the surrounding landscape. Since transparent screening surrounds you with nature, the ceiling becomes a creative outlet for your style. Beadboard is one of our favorite treatments. Created from wood planking, this material can be rustic or polished in order to reflect your design aesthetic. 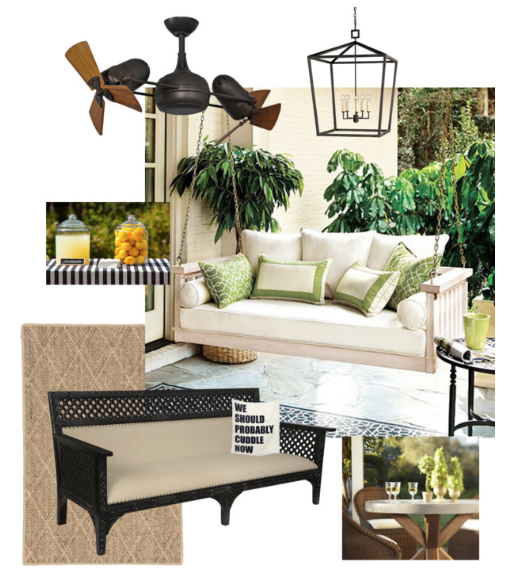 Well-placed ceiling fans will add a soft breeze to a motionless summer day. Use a fixture with contrasting finish to bring attention to a beautifully detailed ceiling. Match the ceiling color if you would like it to quietly disappear. The same applies to lighting. But be sure to think beyond the typical porch fixture. Outdoor lighting technology offers stylish fixtures and even table lamps to satisfy all of your functional needs. Take the chill off with a warm fire. The fireplace is a natural gathering point and will transform your screened area into an extension of your home. 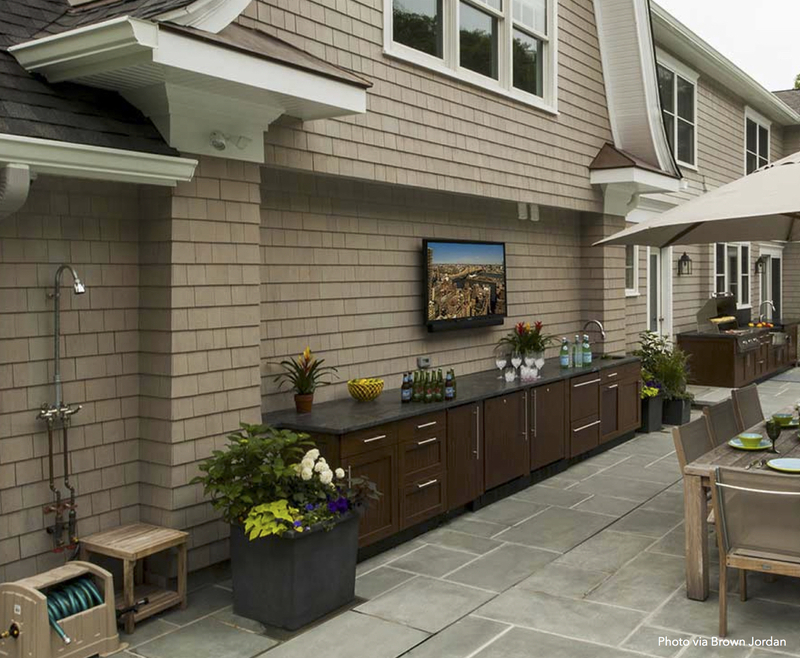 The added warmth will allow you to truly extend your outdoor living season. There is so much to look forward to at this time of year! Engaging outdoor spaces will help you celebrate the season, but not if you are burdened with upkeep. 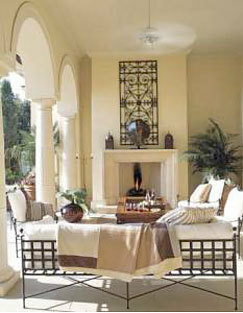 While indoor-outdoor living is a hot trend, low-maintenance design is essential for maximum enjoyment. 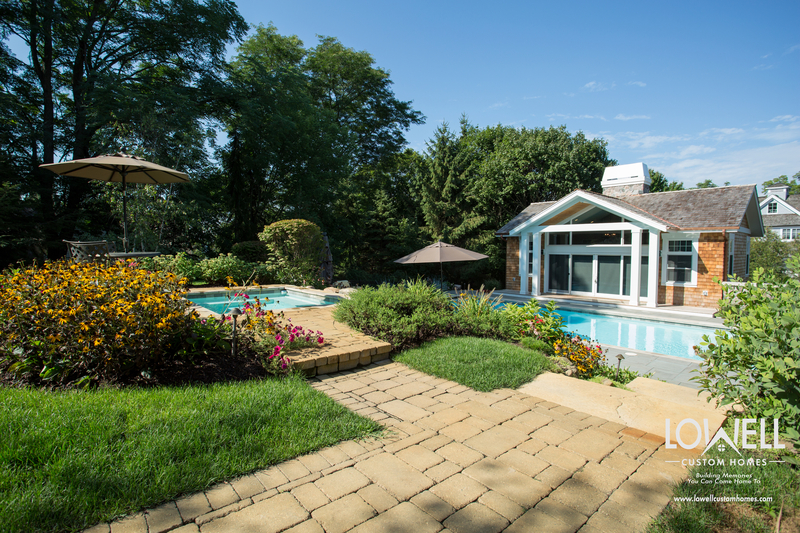 Our tips for choosing the ideal location are listed in Creating Attractive Outdoor Living Spaces. 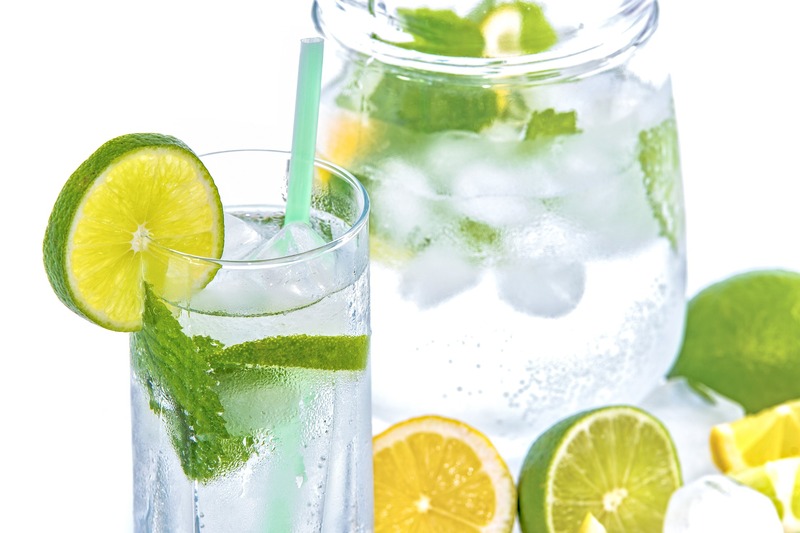 Once that decision is made, these easy care ideas will add enough leisure time for you to truly enjoy your summertime happy place. Fold back doors and generous windows will create an invisible threshold that encourages a beautiful connection with nature. Keep the merger agreeable and reduce housekeeping concerns with durable flooring and a clear path of travel. Decking is a popular choice for delivering indoor/outdoor convenience with a level platform to accommodate activities. 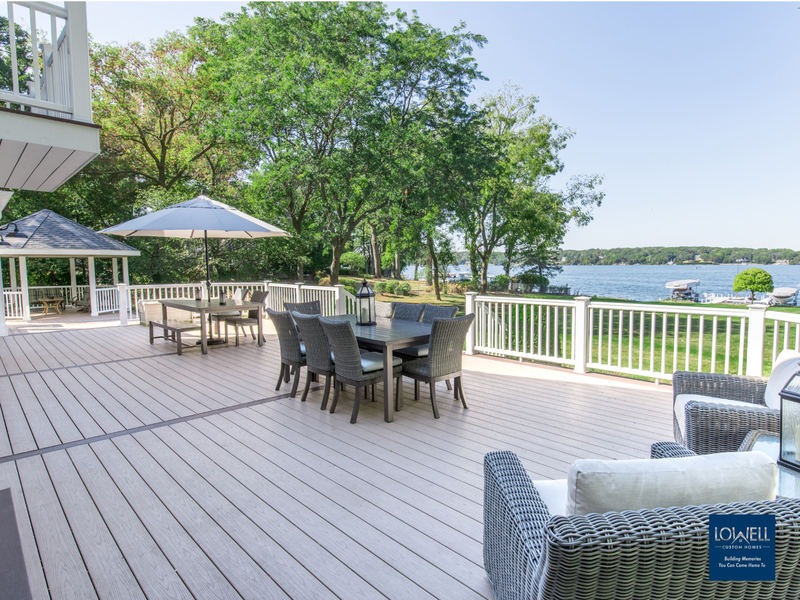 If easy care is your driver, new materials like Zuri® premium decking which is used by Geneva Deck will grant you the gift of time. The exotic hardwood appearance unites with remarkable durability for years of minimal maintenance. Round out your outdoor entertaining by introducing the element of fire. Whether the purpose is heat or light, fire creates a natural gathering place. Outdoor bioethanol fireplaces by Ecosmart are weather resistant, portable and self-contained. This renewable energy source produces no embers, ash or soot. There is virtually no clean up and they can even be placed on decks. 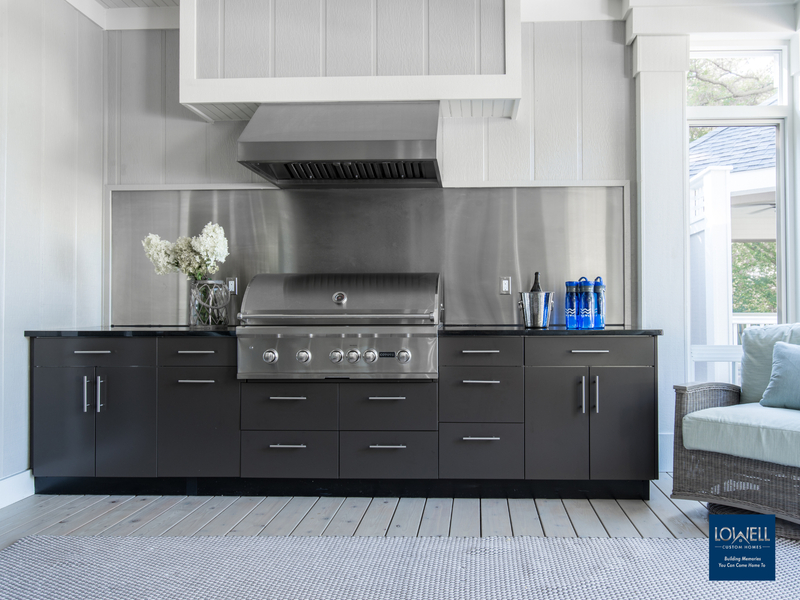 When the focus is food preparation, outdoor kitchen equipment housed in Stainless Steel and Powder Coated Cabinetry is the weather resistant answer to your easy clean up dreams. Innovative materials are extending the life and upkeep of outdoor architectural details and furnishings. Powder coated metal, teak wood and aluminum-framed resin products add lasting color and texture to traditional pieces. Top designers are creating fabrics for Sunbella that can tolerate remarkable abuse and offer built in UV resistance. Even area rugs are venturing outdoors using these new technologies to warm up and define exterior rooms with the same detail we enjoy indoors. Join us on Facebook all season for updates on our favorite products for your outdoor enjoyment. Blustery cold or slight chill, you can find us cuddled up around the warm glow of a fireplace throughout the seasons. It appeals to our natural instinct to seek warmth and our social desire for a cozy place to gather. Seattle architect Betty R Torrell has written about the architectural history of the fireplace and describes its contribution to our homes as “emotionally sustaining”. Often identified as a family room fixture, the appeal of a fireplace is now found throughout the home. We use intentional variety when designing and constructing elements that define a style statement for each one we build. The mantel, hearth, surround, and type of firebox all contribute to the distinctive character. We invite you to browse through our fireplace compositions to find your own inspiration. The centerpiece of an open floor plan, this fireplace is an indulgence in natural stone which was inspired by the view of weathered silos down the road. The central placement delineates a cozy living space and sets the mood for a home that is modern and organic in nature. A classic wood mantel respects tradition with refinement. Crafted with crown, dentil molding, and paneled legs, the appearance has a composed formality. The slip surrounding the actual firebox can further a formal or informal direction based on the type of non-combustible material. Here we use marble and stone to reflect the hearth and compliment the traditional direction. The see through fireplace unites two areas with a shared focus. This minimalist approach is accomplished with a streamlined firebox. Flush tiled surfaces and hearth encourage the eye to focus on the simplicity of shape while revealing an invitation to the hearth room beyond. Raising the firebox to seated eye level opens the view between rooms when not in use and adds to the enjoyment when a fire is burning. While some design purists are horrified, it is time to get over the whole TV vs Fireplace debate. The reality is that this arrangement just works. It is a clean fitted look and solves the problem of how to arrange furniture with comfortable seating in order to enjoy both views. Often this is an opportunity to add much needed storage without cluttering a room with heavy furnishings. The direct vent gas or propane fireplace is energy efficient and streamline. It initiated the trend for clean linear ribbons of fire. Streamline units become a non imposing part of the wall. Here we maintain a restful horizontal landscape using stacked brick to present a relaxing retreat within the master bedroom. Often installed at eye level for greater appreciation, the surrounding wall can take on a variety of shapes. The kitchen is the heart of many homes so the addition of a fireplace increases the draw while introducing the option to cook over a wood fire. Contrasting material creates warmth and emphasis while niches below provide convenient wood storage. Extend your time outdoors by including a fireplace as part of your outdoor living space. Here a see through fireplace is placed on the exterior wall of an indoor/outdoor room for shared enjoyment for both perspectives. The latest weatherproof options available for electronics even allow the TV to be a part of the experience. Whether you are building or remodeling, the experts at Lowell can help you envision the perfect character for your fireplace. 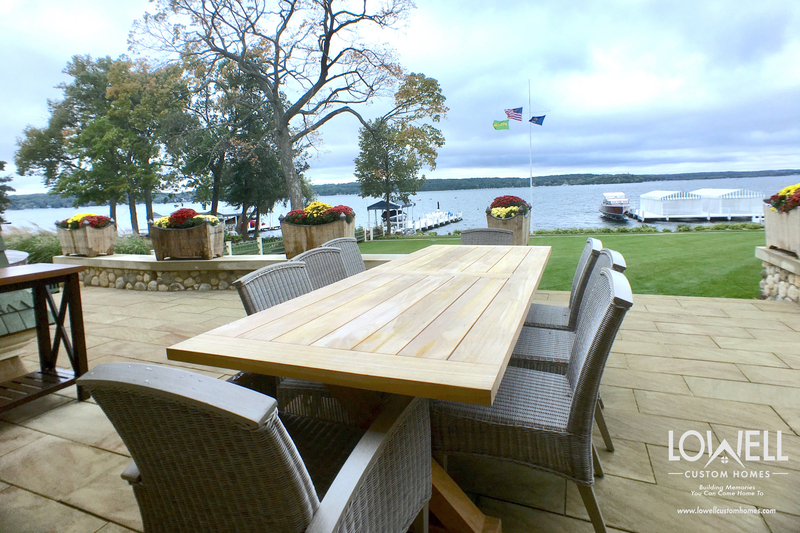 Longer days and calmer temperatures signal a return to outdoor living. 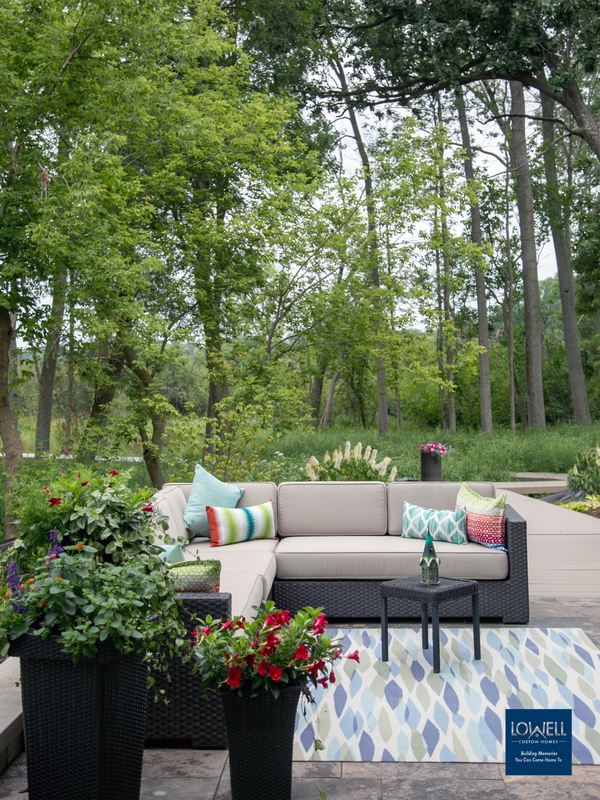 Using nature as a backdrop, the open-air space surrounding your home can provide hours of delight and relaxation. Multiple studies have shown that just looking outdoors will activate the part of the brain related to thoughts of balance and happiness. Take advantage of natures feel-good with the creation of al fresco spaces that will also enhance the square footage and value of your home. The most successful outdoor space will be an extension of your homes interior style while blending with the surroundings. A perfect plan will provide appealing and useful outdoor “rooms” as well as beautiful scenes when you look out the window. Our recommendation is to first make a list of any daily activities that would be pleasurable if moved outdoors. Often relaxation tops the list, with entertainment, cooking and play space following closely. 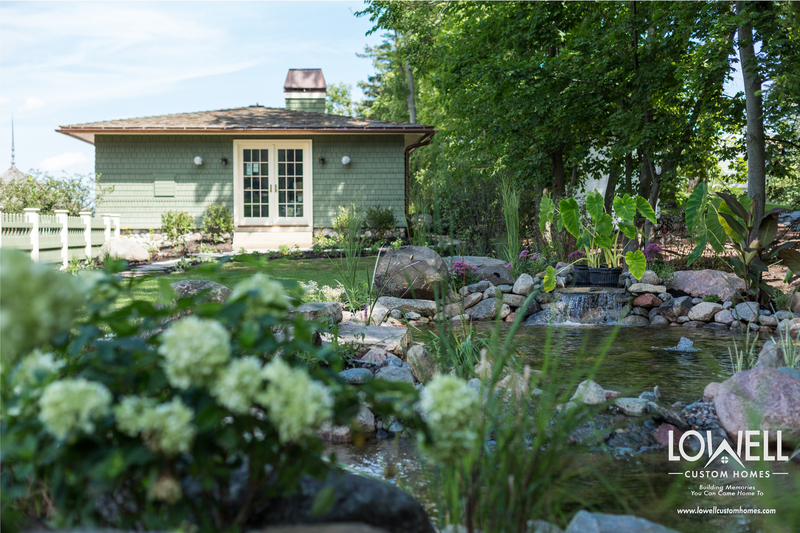 Take inventory of your property and the available options to create outdoor rooms. Consider exposure to the elements, the direction of sunlight and your desire for privacy vs. neighborhood interaction. This will guide the placement of your outdoor living space to the front, side or back yard of your home. Next evaluate your floor plan and the most logical points for moving from indoors out. The more convenient this transition, the more you will use your outdoor areas. When building or remodeling, we like to feature specialty Nano (folding) or French Doors to visually diminish the indoor/outdoor line and encourage fluid movement. An informal sketch of your property showing home placement will allow you to designate logical active and calm areas. Allow for entertaining and family fun as well quiet activities like reading, napping and gardening. Consider ways to lengthen the time you can enjoy spring and summer months by including the protection of a covered porch or three season room. Connect your outdoor living areas with landscaping, walkways and privacy screening than integrates the outdoor space with the overall architecture of your home. 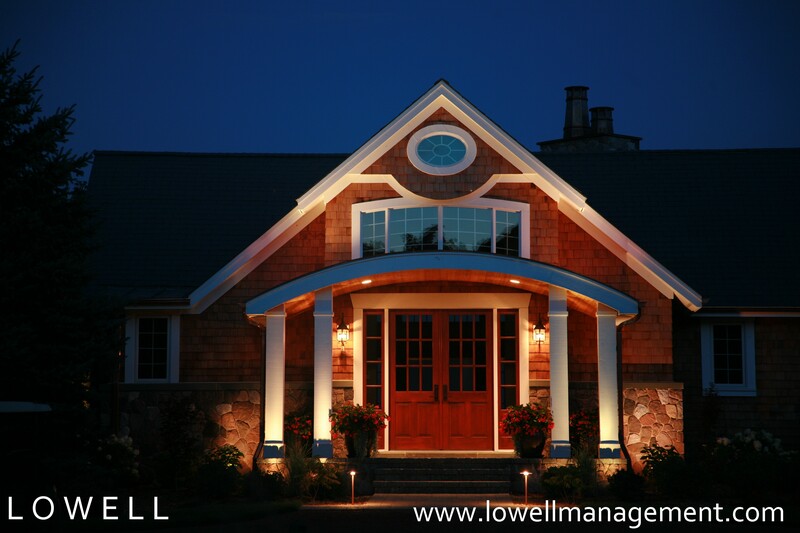 Finally, remember that there are experts, like those at Lowell Management, with the expertise and ability to guide you in the planning and execution of your new home and remodeling projects. 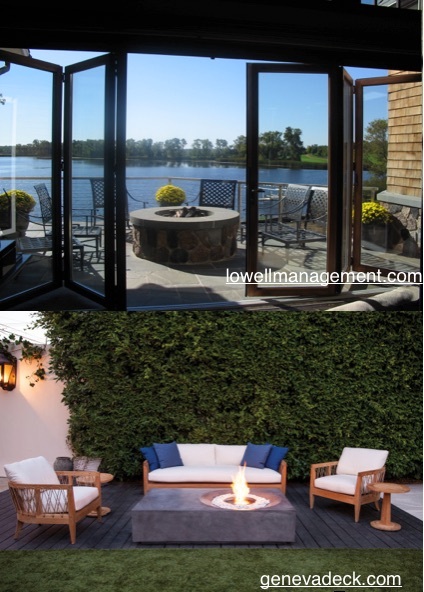 In Geneva National, where Lowell Management Services currently has three distinctly unique communities, all with custom homes built by Lowell Management Services, the outdoor space is as significant as the home. With homes located on Lake Como, the 18th hole or in the midst of 200 year old oaks, the outdoor space in the home is a necessity. 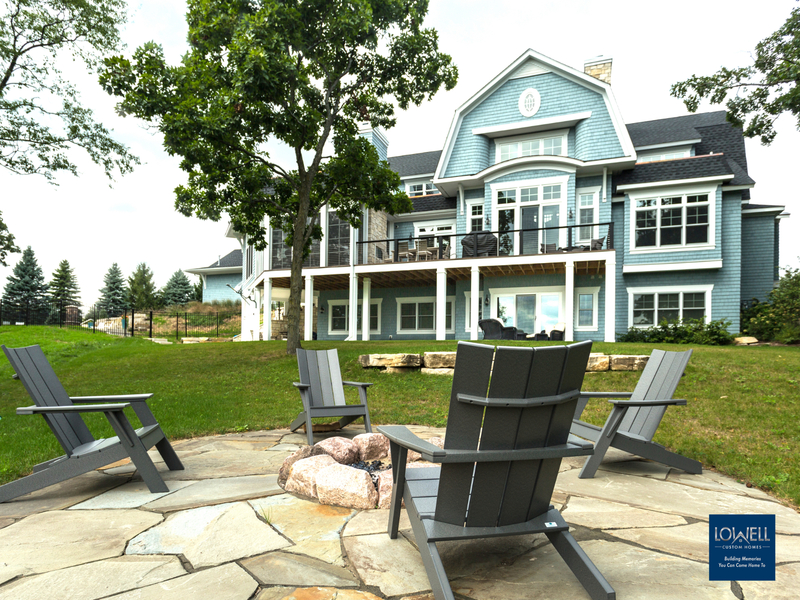 Geneva National is Southern Wisconsin’s most notable year-round golf resort community. It is located on Lake Como, just four miles west of downtown Lake Geneva. This 1,600-acre property has expanses of preserved wooded and open space and surrounds 54 holes of legendary golf designed by Arnold Palmer, Gary Player and Lee Trevino at Geneva National Golf Club. Other amenities include tennis, swimming, water sports and miles of scenic hiking trails. A new state-of-the-art fitness center is now open. There is also a beautiful clubhouse with a new members-only dining room, a lavish new lounge and more. Both golf and social memberships are available. Keefe Real Estate maintains a sales office open everyday at the entrance of Geneva National for both resale and new construction. For additional information or to schedule your appointment to find out about The Woods, please call 262/245-2380 or visit www.gnbuilders.com.